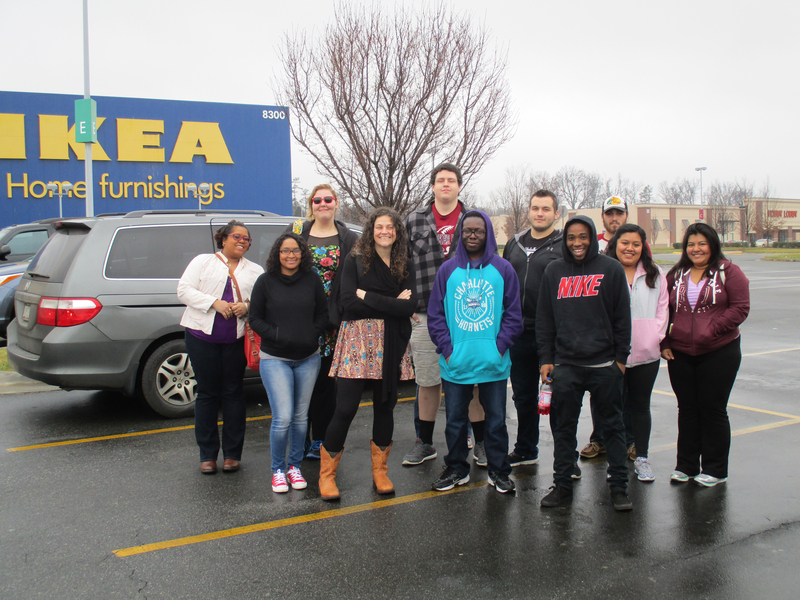 While studying international business, Catawba Valley Community College students in Renee Dyer and Dr. Darcie Tumey’s Introduction to Business course got the opportunity to examine an extremely successful model at the Swedish company Ikea in Charlotte. They learned how the company produces products more efficiently while being socially responsible. Ikea products are not as expensive as competitors’ while maintaining high quality. The company focuses on creating products that efficiently use home living space, especially apartments and smaller homes. Sweden’s home square footage is less than the US and other countries, such as Greece, Spain, Australia, Canada, Denmark, Germany, Japan and France.